Swamp coolers are an important part of your kitchen ventilation system, but they are often overlooked. 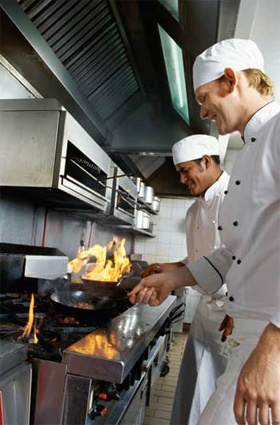 At Flue Steam, we know that how clean air gets into your kitchen is just as important for health and safety as how greasy air leaves your kitchen. That’s why we offer a complete range of services for swamp coolers, including sales, installation, and maintenance. The role of a swamp cooler in your kitchen exhaust system is to replace the hot air drawn out by your exhaust fan with cool, fresh air. If the volume of cool air entering the kitchen is not equal to the amount of hot air leaving through the exhaust system, you will end up with a vacuum effect in your kitchen. This in turn causes increased temperatures, reduced air flow, and sometimes slamming doors. Best case scenario, this will be very uncomfortable for employees. Worst case scenario, you’ll have elevated temperatures, poor effluent removal and a smokey kitchen. 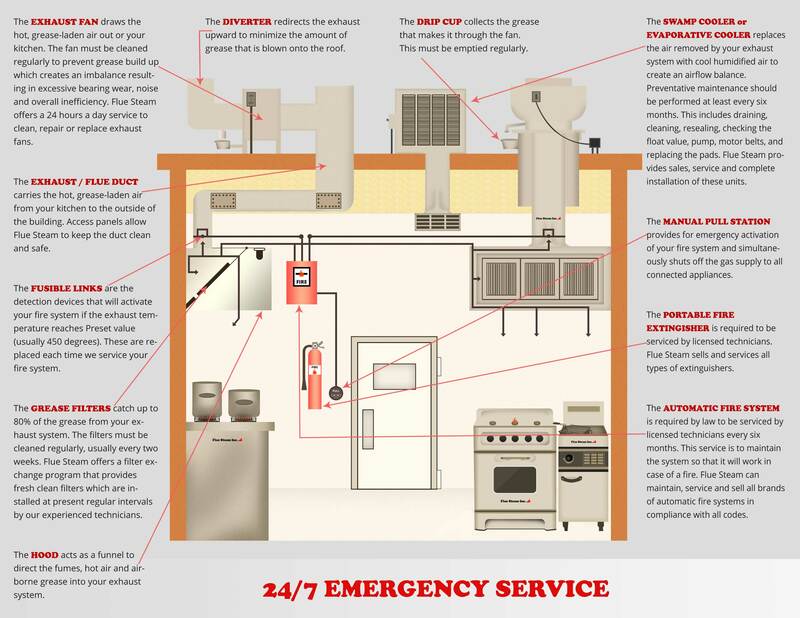 By investing in regular preventative maintenance, you can keep your swamp cooler working at optimal efficiency, thereby improving the comfort and safety of your kitchen. Industry standards recommend having the swamp cooler serviced by a professional technician at least every six months. When you call Flue Steam for swamp cooler service, we will inspect the unit’s vital parts like the float valve, pump, belts, and pads, and notify you of any recommended replacements. We will then drain, clean, and reseal the unit. For maximum convenience and minimal disruption to your business, we recommend having your swamp cooler serviced at the same time your exhaust system is being cleaned.